Every year, a variety of freight is shipped throughout the United States. Trucks, in particular, are responsible for transporting roughly 11 billion tons every year. 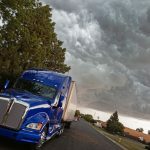 The commodities with the highest value being shipped throughout the country are electronics, which amounts to approximately $1,673 billion a year in revenue. The commodities with the highest weight, however, are asphalt, Coca Cola, and natural gas. These items usually weigh in at 2,647 million tons. More than three billion tons of hazardous materials are also shipped every year, and trucks transport a significant portion of these. This amounts to approximately 94% of the daily shipments of hazardous waste being made. The hazardous material that is transported the most often consists of flammable liquids. Gasoline, in particular, needs to be transported on a frequent basis. 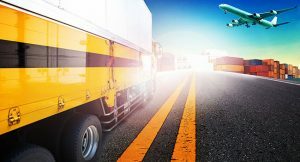 In order to properly label hazardous cargo, the United States Department of Transportation (DOT) has created specific classes. Each of these classes has a specific type of warning label in order to clearly identify various substances. It is also important to add that some of these classifications have specific divisions. If you’re considering a career as a hazmat worker, you will need to complete DOT hazmat training. 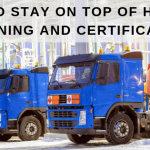 In some instances, you may need to complete approximately 40 hours of training in order to receive your DOT hazmat certification. This has been mandated by the Occupational Safety and Health Administration in order to ensure that individuals within this field are properly trained and certified to perform various jobs within this field. 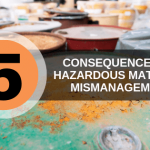 This is due to the fact that working with hazardous wastes and shipping hazardous materials can be considerably dangerous. In addition to your DOT hazmat certification, you may also need to become state-licensed to work within this field. This applies to some, but not all, workers. While salaries do vary and will depend on the specific position being held, hazardous material removal workers earned a median annual income of $40,640.00 in 2016. You can learn more about the specific hazmat jobs, training, and DOT hazmat certification requirements, by contacting the United States Department of Labor or by visiting their website. If you have already received this training and certification, you may want to take a refresher course. It’s important to note that courses for prospective and existing hazmat workers are available throughout the year.